Below you fill find all funeral homes and cemeteries in or near Middletown. Popular neighborhoods in Middletown include: Greater Hartford. Middletown is also known as: Middlesex County / Middletown city. Their current mayor is Mayor Daniel T. Drew. Zip codes in the city: 06457, 06459. Some of the notable people born here have been: Joey Logano (race car driver), Nate Barlow (screenwriter and actor), Tom Shaka (singer), Corny Thompson (basketball player), Nicholas Tucci (actor), Conor Timmis (film producer and actor), and Amari Spievey (american football player). Middletown is a city located in Middlesex County, Connecticut, along the Connecticut River, in the central part of the state, 16 miles (26 km) south of Hartford. In 1650, it was incorporated as a town under its original Indian name, Mattabeseck. It received its present name in 1653. Middletown was included within Hartford County upon its creation on May 10, 1666. In 1784, the central settlement was incorporated as a city distinct from the town. Both were included within newly formed Middlesex County in May of 1785. In 1923, the City of Middletown was consolidated with the Town, making the city limits of the city quite extensive. 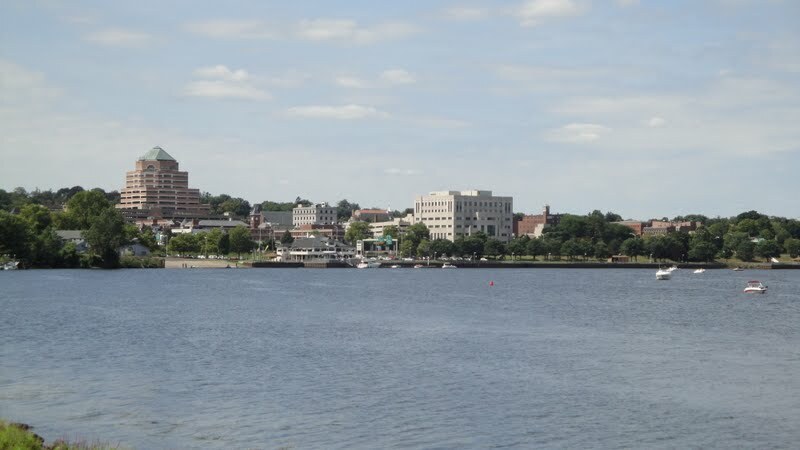 Originally a busy sailing port and then an industrial center, it is now largely residential with its downtown serving as a popular retail, dining, and entertainment district proximal to Wesleyan University. Middletown was the county seat of Middlesex County from its creation in 1785 until the elimination of county government in 1960. As of the 2010 census, the city had a total population of 47,648. Middletown, Connecticut is considered the southernmost city in the Hartford-Springfield Knowledge Corridor Metropolitan Region, which features a combined metro population of 1.9 million. It was written on March 28th, 2019 that William G "Bill" Williams passed on in Middletown, Connecticut. Williams was 90 years old and was born in Millinocket, ME. Send flowers to express your sympathy and honor William G "Bill"'s life. It was noted on March 13th, 2019 that Lloyd J Jr "Butch" Benoit perished in Middletown, Connecticut. Benoit was 74 years old. Send flowers to express your sorrow and honor Lloyd J Jr "Butch"'s life. It was revealed on March 12th, 2019 that Helen Marie Bousquet (Loguidice) passed away in Middletown, Connecticut. Ms. Bousquet was 90 years old. Send flowers to express your sympathy and honor Helen Marie's life. It was disclosed on March 11th, 2019 that Mary Reneson (Golba) passed on in Middletown, Connecticut. Ms. Reneson was 99 years old. Send flowers to express your sorrow and honor Mary's life. It was noted on March 7th, 2019 that William Lee Jr "Bill" Sneed passed on in Middletown, Connecticut. Sneed was 84 years old. Send flowers to express your sympathy and honor William Lee Jr "Bill"'s life. It was noted on March 5th, 2019 that Alice Bernice Dericot (Shelton) perished in Middletown, Connecticut. Ms. Dericot was 87 years old and was born in Rockville, VA. Send flowers to share your condolences and honor Alice Bernice's life. It was noted on March 5th, 2019 that Paul Moscaritolo died in Middletown, Connecticut. Moscaritolo was 48 years old. Send flowers to express your sympathy and honor Paul's life. It was noted on March 4th, 2019 that Robert A "Bob" Wamester passed on in Middletown, Connecticut. Wamester was 89 years old. Send flowers to share your condolences and honor Robert A "Bob"'s life. It was reported on February 13th, 2019 that Audrey Doris Burlette (Follett) passed away in Middletown, Connecticut. Ms. Burlette was 80 years old. Send flowers to express your sympathy and honor Audrey Doris's life. It was disclosed on February 12th, 2019 that Genevieve Stankowski (Zdanowicz) perished in Middletown, Connecticut. Ms. Stankowski was 98 years old. Send flowers to share your condolences and honor Genevieve's life. The mid-nineteenth century also saw manufacturing replace trade as Middletown's economic mainstay; however, industrial growth was limited by railroad operators' decision to bypass Middletown when tracks were laid between Hartford and New Haven. Crime increased. Both buildings are part of the Wesleyan campus. Slavery was part of the early economy of Middletown; African slaves were brought to the town in 1661 from Barbados; by 1756 Middletown had the third largest African slave population in the state of Connecticut—218 slaves to 5,446 Europeans. During the 1960s, Pratt and Whitney and Whitney Aircraft opened a large plant in the Maromas section of Middletown. The official website for the city of Middletown is http://www.cityofmiddletown.com/. Funerals in Middletown, CT on Yahoo! Local Get Ratings & Reviews on Funerals with Photos, Maps, Driving Directions and more. Listing all funeral homes in Middletown, Connecticut so you can easily send flowers to any location (same day delivery) or find any funeral service. We work with local florists and flower shops to offer same day delivery. You will find budget sympathy flowers in Middletown here. Our funeral flowers are cheap in price but not in value.